The EU offers support to upgrade Libyan Chambers of Commerce (Photo: EU Libya Delegation). Libyan and European key economic players gathered in Tunis last Thursday to identify the main areas of support that can be provided to Libyan Chambers of Commerce through the European Union 7.8 million euros project Support to Libya for Economic Integration, Diversification and Sustainable Employment (SLEIDSE), funded by the EU and implemented by Expertise France. Nasir SHAGLAN, Libyan Minister of Economy, Bettina Muscheidt, the Head of the EU Delegation to Libya, Mohamed RAED, Chairman of the General Libyan Union of Chambers, the Directors of the Chambers of Commerce of Benghazi, Misrata, Sebha and Tripoli, and the project team met and discussed the new role of Libyan Chambers of Commerce in order to boost the socio-economic development of the country. 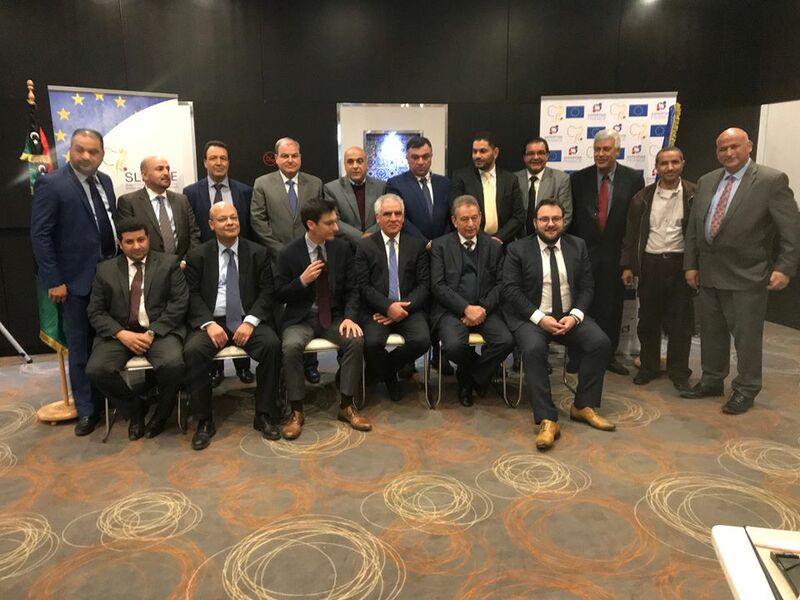 The Tunis meeting was also the kick-off for a comprehensive review of the state of play of Libyan Chambers of Commerce in order to provide them with tailor-made support as of March 2018. Currently, most Libyan Chambers of Commerce perform administrative tasks for their members, mainly issuing certificates and delivering activity licenses. However, International experience shows that Chambers of Commerce can also effectively play a key role in supporting the development and success of enterprises, both locally and abroad. Such Chambers bring forward local and international business opportunities, and provide entrepreneurs with tools such as trainings, networking events and legal advice to boost the development of their businesses. 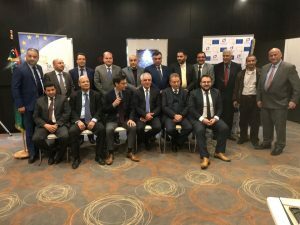 The longer-term goal of the SLEIDSE project is thus to support the upgrading of selected Libyan Chambers of Commerce to provide tailor-made services to Libyan SMEs.